In the PC version of the 2011 rerelease, the copyright splash screen at startup is different that the one found in the original release. Funny enough, the original version is still in the games files in pak0.pk3, it's just that this new version is loaded in it's place. During one of the cutscenes, Alice will say the line "I shouldn't think so. I'm a person, and just now I wish to become very small. About this big." (soundfile alcz1008.wav in the game's files) However, there is a different take of the line in the game's files that goes "I shouldn't think so. 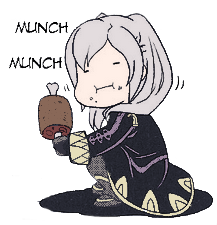 I'm a girl, and just now I wish to become very small. About this big." (soundfile alcz1008b.wav in the game's files). Both the original release and the 2011 rerelease use the version with the word "person" in it, so this different take goes unused in both versions. The symbols on Alice's dress are different between releases and promotional material. On her official render (seen on the boxart), the two symbols are a pitchfork, and the symbol of Jupiter. In game, the two symbols are the symbol of Venus (albeit rotated about 45 degrees to the left), and what appears to be a sort of pinwheel. The symbols were changed once again in the 2011 rerelease, where she has the symbol of Venus (upside down), and the symbol of Jupiter. This falls in line with the design used in the sequel, Madness Returns. When asked why the change was made, American McGee said "the difference in symbols might have to do with poor communication/planning and/or might have to do with the marketing department being overly sensitive about the symbols and their meanings. Too much time has passed for me to remember exactly what caused the differences. " The borders featured on the main menu and loading screens on the PS3/X360 rerelease of the game go unused in the PC version (since the main menu/loading screen is rendered in widescreen in the 2011 rerelease). Also the PS3/X360 version features a title screen, which doesn't appear in the PC version, since neither of the PC versions (2000 or 2011) have a title screen. 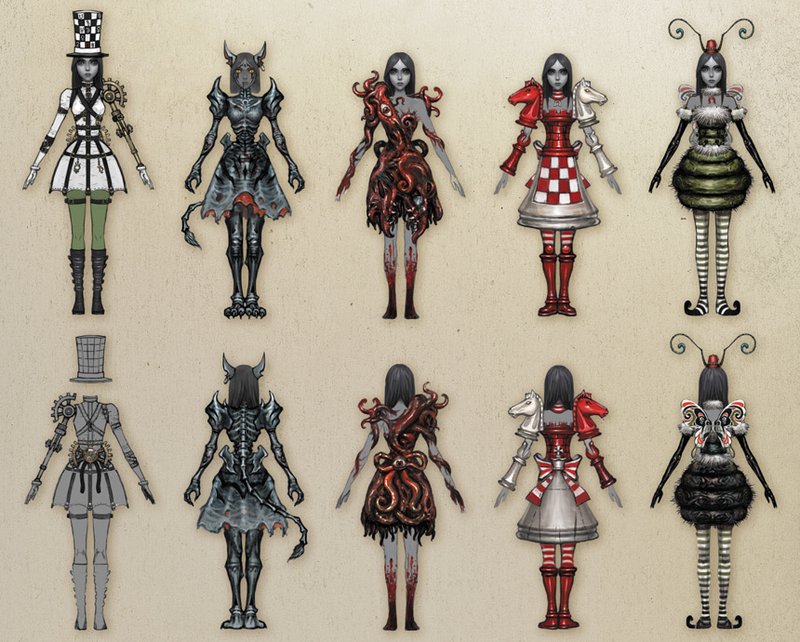 This title screen is also in the PC version's files, as "title_bg.tga"
According to concept art of Madness Returns, Alice's dress was to feature the same symbols featured on her dress in the first game (the symbol of Venus, and a sextile). According to concept art for the original Alice, her dress was to feature the symbol of Ceres, as opposed to the symbol of Venus. There are eight takes of the Red Queen saying "Off with her head." 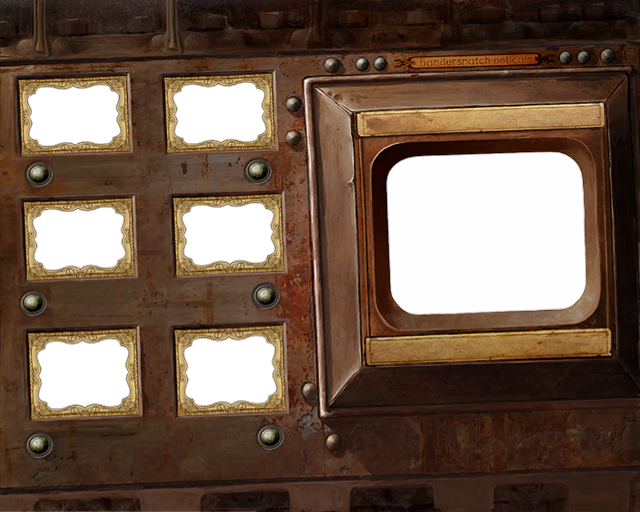 in the game's files. Only the first one (qnr001a.wav in the game's files) is used in the game. The other seven are all unused. Also in the game's files is an undistorted version of part of the Red Queen's speech to Alice. In the final game, her voice becomes distorted and deeper at this point, however this take is using the Red Queen's regular voice. There is an alternate version of the game's ending music called "finale_bad.wav" in the game's files. This seemingly implies that at one point in development, there was going to be a bad ending. In the final game, there is only one ending. This tune was included in the unofficial soundtrack as "Finale Bad/Bad Finale", alongside the actually ending music, "A Happy Ending". 1) Soundfiles for characters are ordered by when they are said in game, but if they're are dialogue that happens during gameplay, (like Cheshire Cat hints) they are grouped at the top of the soundfiles, before their first line of dialogue. Now, all of Larry's voice clips have a z at the end of them, which, based on the naming convention, would imply that the was meant to have voice clips during gameplay. However, he has none in the game, and none exist in the game's files. He is the only other character besides Alice and the Cheshire Cat to have his cutscene voice clips named with a "z". According to "The Art of Alice: Madness Returns", The original Alice was EA's first ever M-rated game. In his interview done for Spencer Haplin's Mortal Kombat, American McGee admitted he fought to get the game an M-rating because he didn't want parents to confuse the game as child-friendly. However, he later stated that he regrets this decision, saying that the violence in the game did not warrant such a high rating. Link to the Art of Alice: Madness Returns. The game's rating is mentioned on page 7.
here is a transcription of what American McGee said in Mortal Kombat. I'll try to update this with an actual clip of the movie. Notably, Chris Vrenna, formerly of Nine Inch Nails, composed the music for American McGee's Alice. In an interview about the game's music, Vrenna revealed that in order to accurately capture the feeling of the Victorian era, and the creepy atomsphere in the game, he disallowed himself from using a modern electronic sound and synth drum samples (things he was used to being in Nine Inch Nails). Vrenna composed the soundtrack largely with instruments of the time, toy instruments, and various children's toys. Vrenna also used environmental samples, such as door slams, clock ticking, and ratchet noises, in order to make the musical rhythms more organic, as if the music was being generated by the world Alice was in. According to an interview with the website Bloody Disgusting, Vrenna actually made more music than what was required for the game. All the extra tracks were officially released as a part of the game's soundtrack. Notably, the soundtrack versions of songs contain vocal samples from various characters. This was done as a means of telling the story of the game using only audio. Another notable thing about this is that some of the vocal samples used (such as the case with the Ending Theme) is that the lines are actually unused in the final game, but appear within the game's files. Another thing is that this interview confirms that a console port was in development (most likely the PS2), but it never came to fruition, most likely due to the closure of Rogue Entertainment only a year after the game came out. Here is the interview where he discusses the game's music. TURTLE: Finish what you start, please! Remember, you're just a visitor. We have to live here. ALICE: I'm not on holiday. However, Alice's original response was supposed to be "I'm no bloody tourist!" This line can still be found within the game's files. When the game was released in Japan, American McGee's Alice's name was changed to American McGee's アリス インナイトメア (Arisuin'naitomea, Alice in Nightmare), as a play on Alice in Wonderland. The projector machine that is the Load/Save screen is made in-universe by the company "Bandersnatch Opticals". This company is named after the Bandersnatch creature from Lewis Carroll's Through the Looking Glass, and What Alice Found There. There is an unused voice line found in the Spanish and German dubs. Oddly, although the line is for the English dub, the line is missing in the English version's files. After the fight with Centipede, before Alice eats the toadstool to return to her normal size, she will say "I wish I were hallucinating. What a horrible choice. Eat a toadstool or remain food for insects." The unused version features a slightly different ending. I wish I were hallucinating. What a horrible choice. Eat a toadstool or become a meal for insects." Both versions (in English) can be found in the Spanish and German dubs' files. Only the top one (the one used in the final game) can be found in the English version's files. Okay so, IDK if I'm allowed to add more evidence and resubmit, but here goes. To add onto the Bandersnatch trivia, here is footage of the "Bandersnatch Opticals" brand being in the game. The Bandersnatch is a creature that appeared in Lewis Carroll's Through The Looking Glass, specifically mentioned in the piece Jabberwocky. I'll be sure to approve this when I see it in the queue. Looks good to me. The only dress not pictured here to have symbols is the DLC dress "Hattress" which has the same symbols as the Streamdress. While each symbol has a meaning, I'll eschew interpreting them in the context of the game, as that would simply devolve into my own personal speculation (and finding reliable/credible sources on astrology and alchemy is surprisingly difficult). Although, certain ones (like Neptune and the Moon) are rather straightforward. 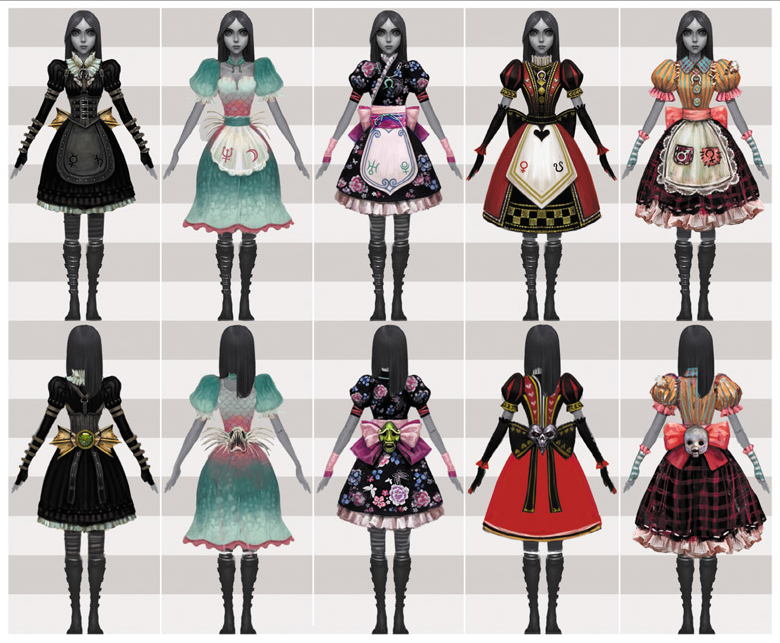 As an update to my previous post on the symbols, according to "The Art of the Alice: Madness Returns", the symbols featured on Alice's dress in the first game were meaningless (not literally, meaningless as in they weren't relevant to the game in any way). Therefore, they were changed to Eris/Jupiter, which represent the goddess of strife and discord, and the mind rising above the Horizon of Matter respectively.